It is with great honour that we present new material from one of Russia’s most enigmatic act, PHURPA. Lead by Alexey Tegin since 2003, PHURPA has gained wide recognition and praise for their truly unique performances and eerie rendering of the ritual chants of the pre-Buddhist BON tradition of Tibet. Their musical ensemble is solely based around ritual Tibetan instruments. The main traditional feature of such an ensemble is the mantra chanting, a unique overtone chanting called “rgyud-skad”, or the Tantric voice, which is based on the principle of the singer’s transmogrification during the so-called “chanting meditation”. 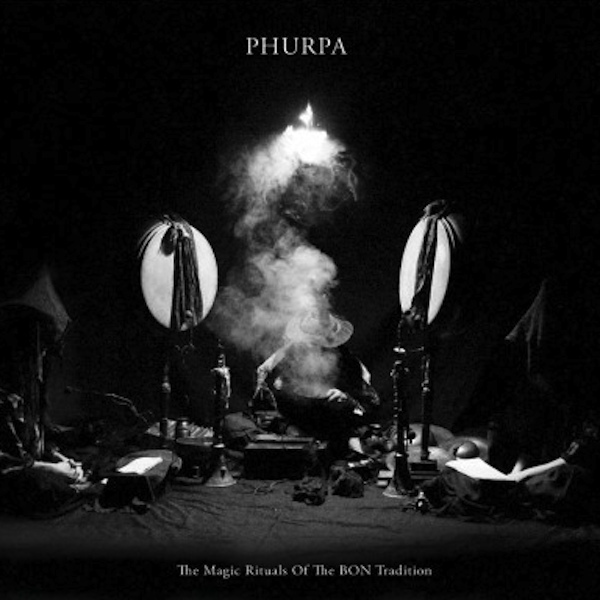 PHURPA’s rendering of this special use of the most primordial of instruments, the voice, is quite simply mesmerizing. Deep low tones and overtones, all tuned to a perfect pitch, carry one to unchartered realms. These chants are accentuated by the clattering of traditional drums, bells, gongs and various horns. Powerful, massive, penetrating and definitely unique are what PHURPA’s organic aural meditations could be described as. This new album is accompanied by a separate DVD of a live performance in Moscow. Giving the opportunity to witness their ritual magic in its intended form. Edition of 500 copies in 6-panel sleeve.